Designed at the behest of Mayor P. W. Meldrim by Eichberg & Witcover, the architects also responsible for Savannah City Hall, the municipal powder magazine was built by John R. Eason. 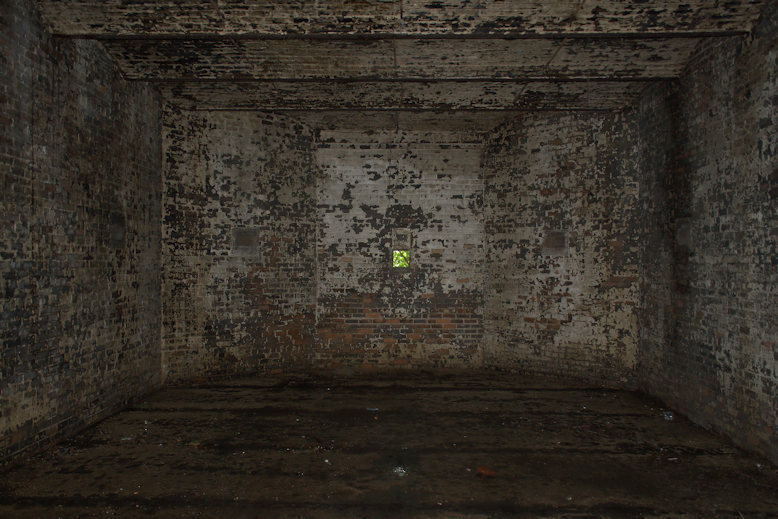 On average, it provided safe storage for 96,000 pounds of black powder and 8,500 pounds of dynamite. The 15-acre property originally contained a keeper’s cottage, as well. 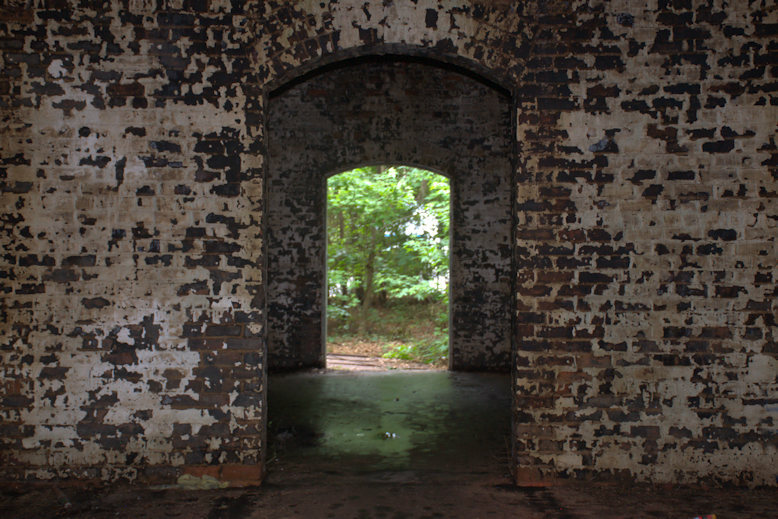 Abandoned since 1963, it’s the last surviving municipal powder magazine in Georgia. 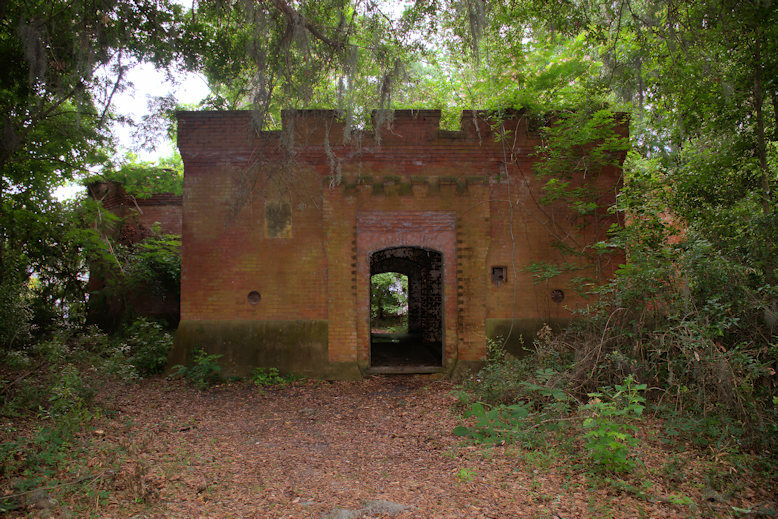 Because of its fortress-like construction, including 3-foot-thick walls, it’s considered the sturdiest structure in Chatham County. This has insured its survival over the years, but today its future is uncertain. Though concealed in overgrown woods, it is located in a busy and rapidly growing area of the city. 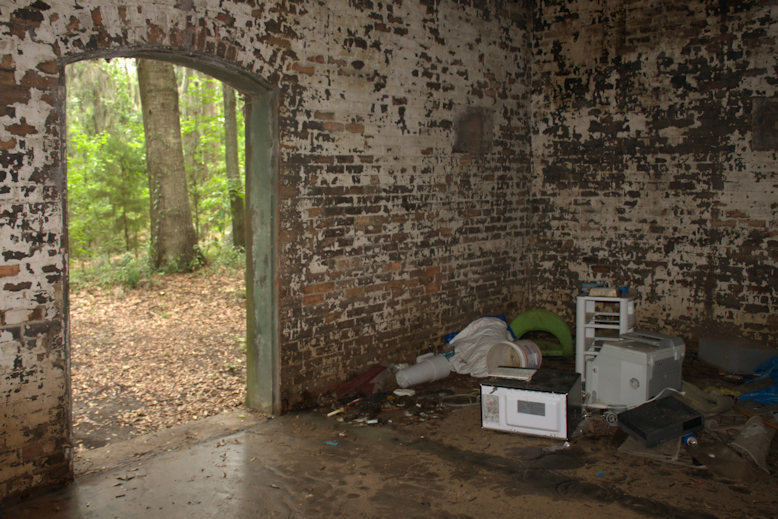 Homeless people have been known to use the facility for shelter and there always seems to be some amount of debris inside. 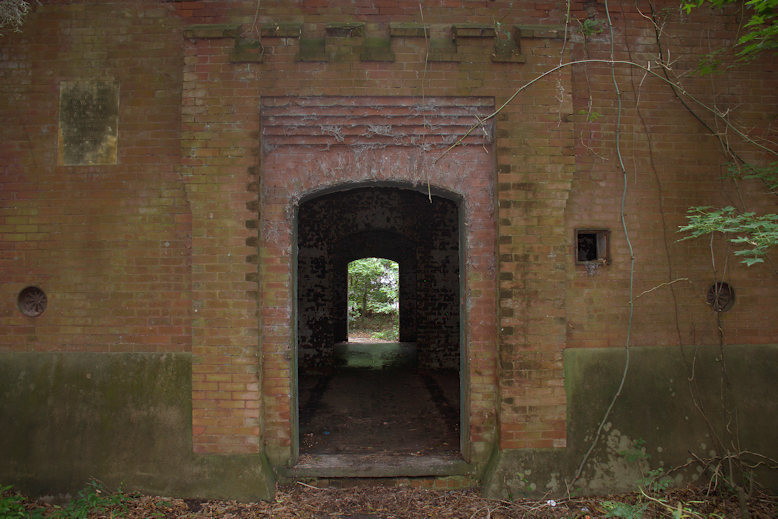 A Powder Magazine Park Commission was created by Tommy Holland to explore viable alternatives for the preservation of the property, and after years of neglect, it appears serious work is being done to move forward. Mr. Holland notes that the Savannah Powder Magazine Facebook page is the best source for updates on the project. 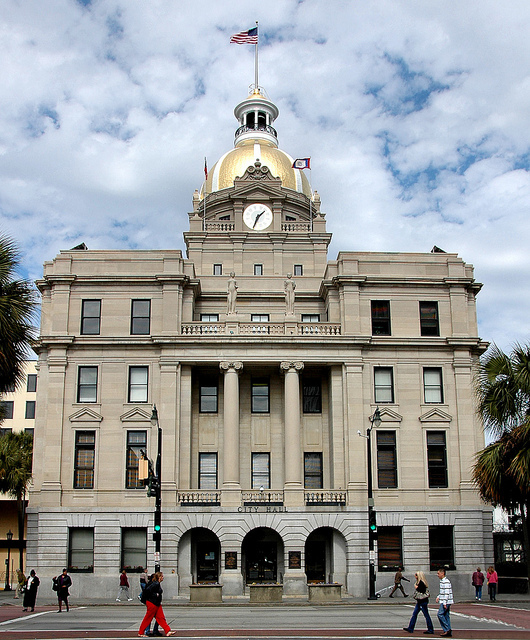 This is one of the most monumental works of Hyman Wallace Witcover, who designed several other Savannah landmarks, including the Chatham Armory, the Scottish Rite Temple, and the Knights of Pythias Castle Hall, among others.